London-based distributor Serious Lunch has added a stop-frame animated comedy series from South Korea’s Comma Studios to its library. 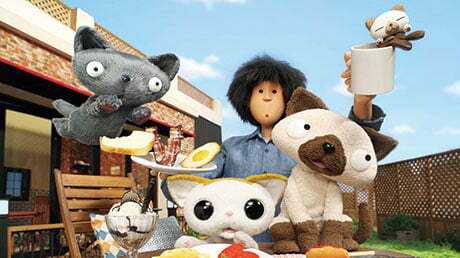 Bo & To’s Family (54×5′) centres on life at a café where three adopted street cats run rings around their owner and barista. The non-dialogue comedy series will be launched at MipTV in Cannes next month and is set to complete production this summer. Comma will retain distribution rights in Asia. Bo & To’s Family is a coproduction between Comma, South Korean IPTV broadcaster SK Broadband, South Korean public broadcaster KBS and Seoul Business Agency. Serious Lunch recently appointed former Saban Brands and Cake exec Leila Ouledcheikh to the new role of director of global sales. The firm’s catalogue of programming includes Operation Ouch, Ronia the Robber’s Daughter and Gigglebug.